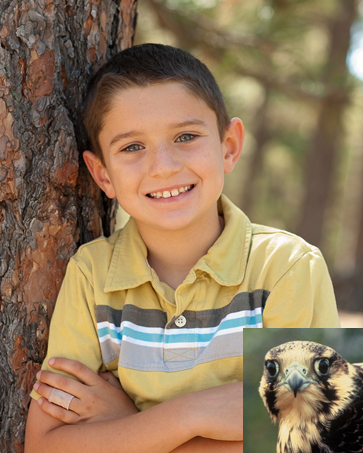 “One day as I sat down outside for lunch, I saw a Peregrine Falcon shoot across the sky! 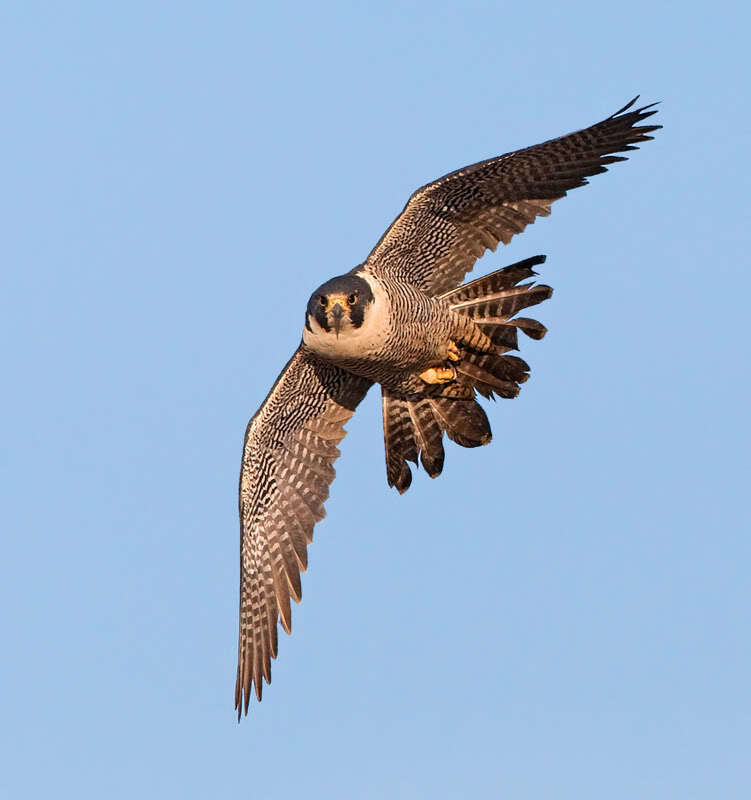 [Call of Peregrine Falcon] Its curved wings threw it higher than the trees, its head pointing forward, telling me it was not searching for prey. I saw it for a split-second, for it was going…200 miles an hour. Its call is a piercing squeal. Now if you see a raptor that looks like a Peregrine, don’t be too sure. 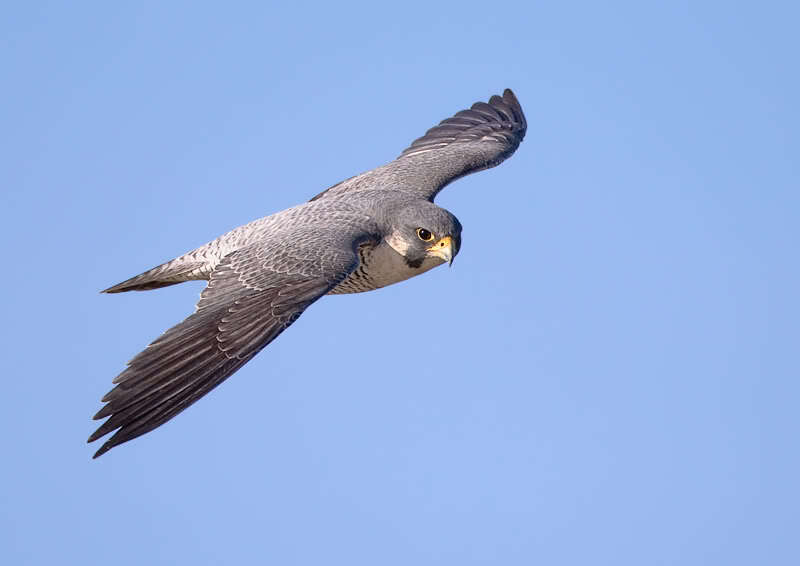 Prairie Falcons are very similar to Peregrine Falcons. 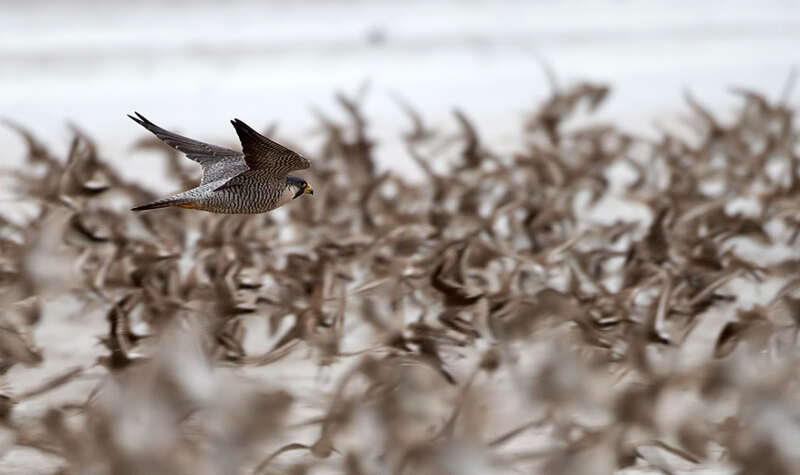 [Call of Prairie Falcon] One way to tell the difference in flight is the brown dots sprinkling the Prairie Falcon’s wings. Bird sounds provided by The Macaulay Library of Natural Sounds at the Cornell Lab of Ornithology, Ithaca, New York. 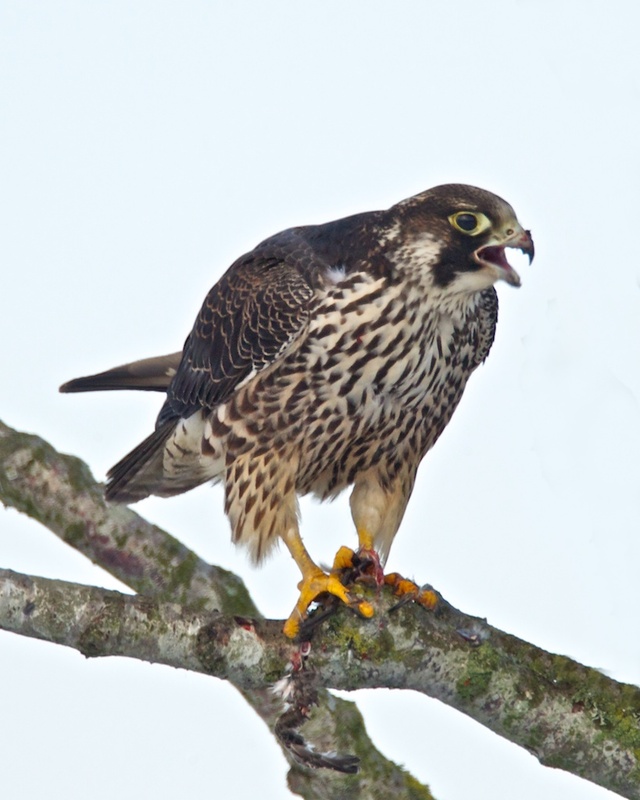 Call of Peregrine Falcon [uned] recorded by Gerrit Vyn; calls of Mallards  A.A. Allen; call of Prairie Falcon. Ambient drawn from Western Meadowlark [uned] by Gerrit Vyn. The Mission of School in the Woods, dedicated to the study of natural sciences in a natural setting, is to inspire our students to be critical thinkers as they pursue lifelong learning through direct interaction with living systems, integrated into an academically challenging curriculum in a safe environment. Our naturalists will share their deep appreciation and stewardship of the natural world with the larger community.